Goodreads: New Yorkers Michael, a famous writer, and Lizzie, a journalist, travel to Italy with their friends from Maine—Finn; his wife, Taylor; and their daughter, Snow. “From the beginning,” says Taylor, “it was a conspiracy for Lizzie and Finn to be together.” Told Rashomon-style in alternating points of view, the characters expose and stumble upon lies and infidelities, past and present. Snow, ten years old and precociously drawn into a far more adult drama, becomes the catalyst for catastrophe as the novel explores collusion and betrayal in marriage. 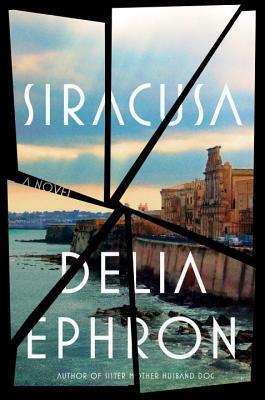 Set on the sun-drenched coast of the Ionian Sea, Siracusa unfolds with the pacing of a psychological thriller and delivers an unexpected final act that none will see coming. Kritters Thoughts: Two couples and one daughter head to Italy to vacation and maybe they shouldn't have left home. The reader and maybe both couples know that this trip is doomed from the start, yet they go and of course drama ensues. Before I dive into my thoughts, let me say that I had extremely high hopes for this book. It had been buzzed about for awhile and it was on the list of books that I was over the moon to get a chance to review, so maybe my hopes and expectations were a little above what they should have been and it could have impacted my reading. Let me start by saying, I love drama and I love my books to have drama, but I also love for things to move along and that is where I felt this book lacked. The drama was a little over the top, but fine, but my goodness I felt like we were dragging from one chapter to the next. The bulk of the plot for me was in the last 50-75 pages, it took way too long to get there and I didn't need that much build up! I wanted more for this book. There characters were fine, the setting was great, but I wanted more action. This is my first experience with Delia Ephron, have you read anything by her? Should I try something else? Disclosure of Material Connection: I received one copy of this book free of charge from Blue Rider Press and Plume. I was not required to write a positive review in exchange for receipt of the book; rather, the opinions expressed in this review are my own.